What’s for today? My mind is struggling to find some focus today, but the terrible headache turned every train of thoughts trying to form into an enigmatic labyrinth. 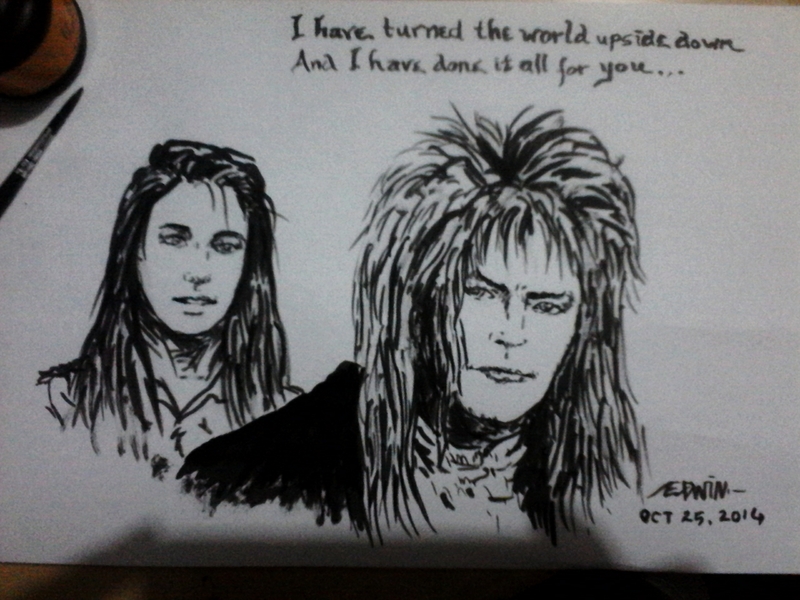 Then suddenly it occurred to me that it’s as good a theme as any: Labyrinth. Twisted and dark and funny as it may be, Labyrinth is still a much better love story than that stupid Twilight. ~ by edwinlives4ever on October 25, 2014.